The Electra Meccanica Solo is part of a groundswell of vehicles that could redefine what we think of as personal transportation. 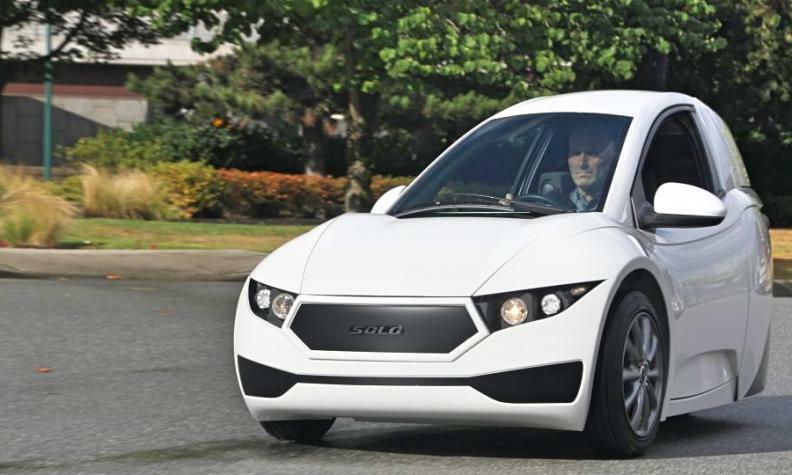 It’s a battery-powered electric vehicle, still a relatively rare species, built by a Vancouver startup. It’s also a one-seater, weighs 450 kilograms, measures 3.1 metres long and 1.34 metres wide, and rides on three wheels. Suffice it to say that Vancouver-based Electra Meccanica is not looking to catch the wave of hot selling big pickups and utilities. The Solo is aimed at the commuter who currently drives, well, solo in a vehicle with four, five or more seats. It offers efficiency, maneuverability and decent range (160 kilometres). And the price is a rather modest $19,888. The Solo’s counterparts include the Renault Twizy in Europe and the Elio Motors three-wheeler. Perhaps even the Smart EV. You might call this fledgling category TCVs, for tiny commuter vehicles. As personal mobility evolves, there may indeed be a niche for them. But there’s a tradeoff, and it’s one that bedevils other new automotive technologies. Academics and regulators who monitor chang-es in the industry call it the “mixed fleet.” What that means is that, as vehicles stay on the roads for a couple decades on average, any new-age vehicle is going to share the road for a long time with big, petrol-powered vehicles. For instance, if in a few years you’re riding in a self-driving vehicle that scrupulously follows the speed limits, you will have lead-footed drivers tailgating you or cutting in front of you. And if you’re commuting to work in a TCV (tiny commuter vehicle, remember? ), you in your 450 kilogram ride will be part of a dense, jockeying herd that includes vehicles weighing in at 2,500 kilograms or more. The problem is that whatever changes come in government regulations, Newton’s Second Law of Motion – force equals mass times acceleration – won’t change. So if your TCV collides with, oh, perhaps a Ford Expedition, you’re going to be on the painful end of the force exchange. This is not to beat up on Electra Meccanica, which is doing an interesting and innovative thing, and has given attention to safety. The company’s press materials say the body frame, built with “aerospace composites,” includes front and rear crumple zones and side-crash structure. On the other hand, no airbag. I don’t want to get all nanny-state about this. Vehicle safety laws have inherent contradictions. There are requirements for reinforced roofs to provide rollover protection. But there are convertibles. There are requirements for crash structure and airbags in cars. But you’re free to drive a motorcycle. The choices ultimately rest with consumers, as they should. But consumers need to be aware that, for a tiny commuter vehicle, there will be a safety tradeoff.